Explore the beautiful murals of downtown Durham by bicycle with tours co-organized by Preservation Durham, the Museum of Durham History and the Nasher Museum. 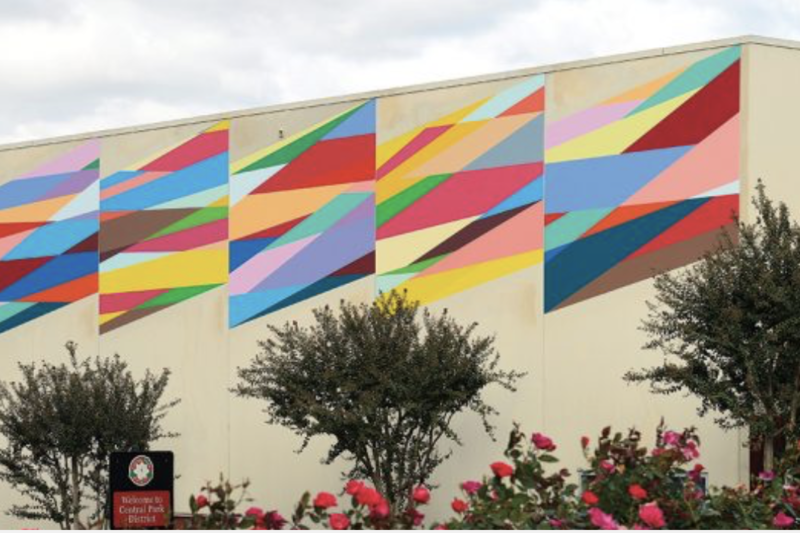 Approximately 13 murals will be featured, including Time Bridge by Odili Donald Odita commissioned by the Nasher Museum, at the Downtown Durham YMCA. Experienced cyclists will guide each tour, which last about 90-minutes and are approx. 5 miles in length. Tours run every fourth Saturday from May through November starting at 10 AM and departing from the Durham Central Park pavilion. Please check in 15 minutes early. Helmets required. Free and open to the public. Tours are designed for anyone with a bicycle and comfortable riding on city streets. An interactive map of the tour is available via Mural Durham.